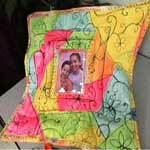 Sewing is a therapeutic and rewarding hobby. If you enjoy sewing for yourself and others, then you will certainly want to check out these sewing projects. 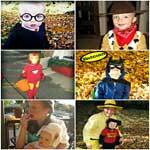 Here are some great items to sew for a child, teenager or adult. Find simple patterns for holidays such as Christmas, Easter and Halloween and ideas for Mother's Day, Father's Day and birthday gifts. 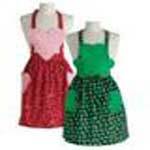 Choose from a cell phone cover, BBQ apron, wine bottle jackets, ornaments, tote bags and ton's more. No matter if you are new to sewing or a seasoned seamstress you are sure to find that one pattern from this list of sewing sites. These cute patterns from Amy Butler range from quilts and pillows to necklaces and wall art. Go green and save money by making a bag that holds snacks and keep those plastic baggies out of the trash. 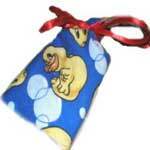 Using ruffles and satin ribbons you can make this adorable drawstring bag that has many uses. 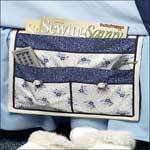 Here is a pattern for a bed caddy that fits under the mattress and then hangs off the side for storing books, remote, reading glasses and more. Create this very basic doll with its own carrying bag. Great for baby's first dolly. 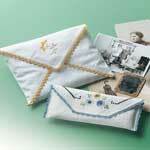 You can easily create a lovely linen pouch out of old or new linen napkins. 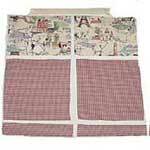 Nice for storing cherished pictures and other items. When needing to carry just a few items this wrist bag does the trick. So easy to sew when using these instructions with photos. 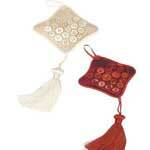 This is a hanging sachet pattern for a very pretty sachet with buttons as part of its decor. Makes a thoughtful gift for someone special. Take all you need for fantastic fun at the beach by sewing this roomy beach bag in your favorite prints and colors. Keep your digital camera protected and dust free by placing it in a camera cozy you made with this simple pattern. Use heavy denim as the background, then applique roads, houses and more for a fun time kids will enjoy. 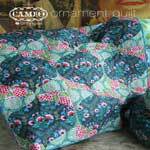 Fun projects just for the holidays to sew. This step by step picture frame pattern is easy to follow and the frame is fun to make. Here's a variety of mainly craft type sewing projects, including a cell phone cover, towel wrap, rice bags, wall organizer and more. 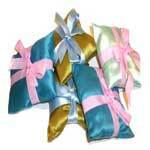 Here is a pattern for creating a little sneeze pillow with added scents such as lavender for soothing the sinus. 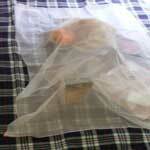 Keep flies and other pests off your outdoor food by making this cover for your picnic dishes. Make this handy organizer that hangs in front of the sewing machine. Here is a great project for the beginner skill level and makes a great gift. Enjoy making this warm and cozy lap blanket for yourself or someone special. 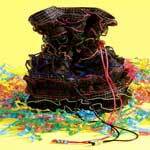 Choose from several projects that are great for teens, such as a beach tote & more. Here you will find illustrations that go along with the instructions for this back pack. Instructions for a recycling project that starts with a mesh onion sack. This is an easy to make puppet and children love it for bath tub fun. Make this super easy hanging hand towel for the kitchen or gift it to someone special. Keep your hands and counters from burning with this potholder that doubles as an oven mitt.